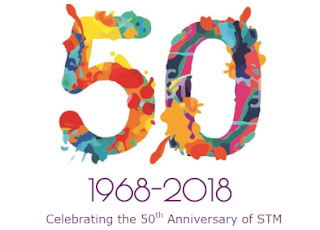 The International Association for Scientific, Technical and Medical Publishers (STM) has launched the 50th anniversary edition of ‘The STM Report: An overview of scientific and scholarly publishing’ (2018). The report provides authoritative coverage of all aspects of journal publishing, including market size and statistics, peer review, Open Access and new technology and market developments. Originally released in 2006, the report, now in its 5th iteration was officially unveiled at STM’s 50th anniversary conference held in Frankfurt. Authored by Rob Johnson, Anthony Watkinson and Michael Mabe, the report highlights that in 2018 there are 33,100 active peer reviewed English language journals publishing about 3 million articles a year. China is now the pre-eminent producer of papers globally (19%) surpassing the US (18%) and around one third of the literature is available legally and freely via Open Access.